You will love watching your dreams come to life, and our Energy Star products will ensure significant savings on your energy bills. 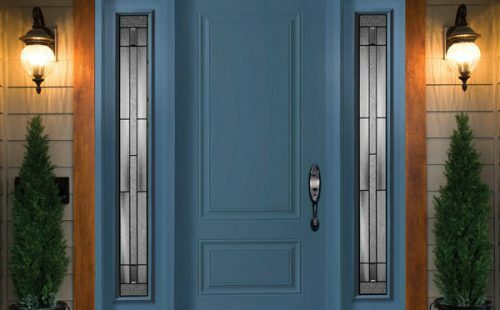 The Milano Windows and Doors team is proud to uphold the tradition of fine living through quality and craftsmanship, and windows are one of our specialties. 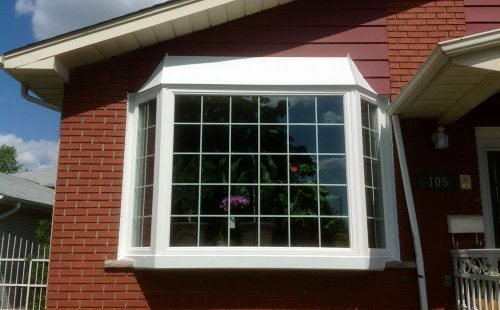 We offer high-quality vinyl windows of all shapes, sizes, and functions. The eyes are the windows to your soul and your windows give insight into the soul of your home. On the outside, your windows can accent the facade of your house just so, complimenting your style and bringing the building to life. On the inside, your windows control the amount of fresh air, natural lighting, and heat insulation each room will receive. Doors and enclosures are our other specialty. Your doors do a lot for your aesthetic, from their shapes and sizes to the materials that they are made of. 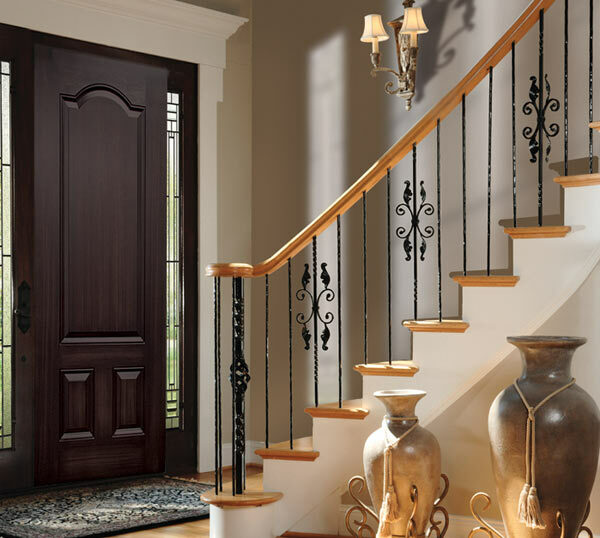 For example, your entry doors can be wood, steel, or fiberglass. Your door can be painted to match your home’s facade, or painted to contrast it. You can have glass panes or storm doors added in. There are limitless possibilities and we stand by the skills of our elite designers and installers. 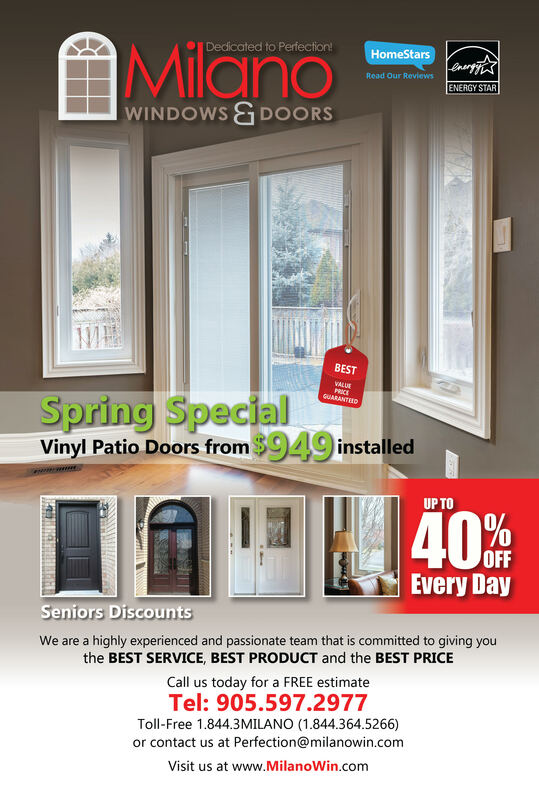 We are a reliable windows and door provider in Toronto and GTA, offering you an impeccable service, high standards, quality and guarantees. With our Energy Star products we will ensure not only customizable solutions, but more importantly significant savings on your energy bills. 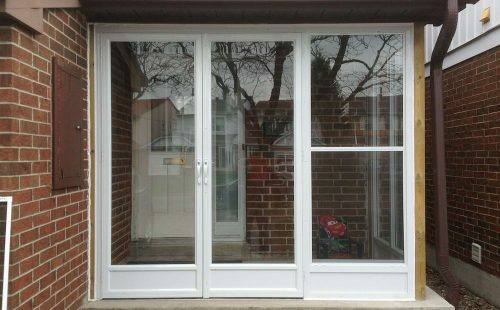 We offer windows and doors replacement and installation services in Toronto, North York, Etobicoke, Scarborough Vaughan, Richmond Hill, Thornhill, Markham, Stouffville, Milton, Aurora, Newmarket, Mississauga, Oakville, Brampton and the rest of the GTA & York Region.